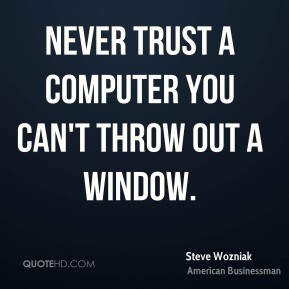 A lot of hacking is playing with other people, you know, getting them to do strange things. 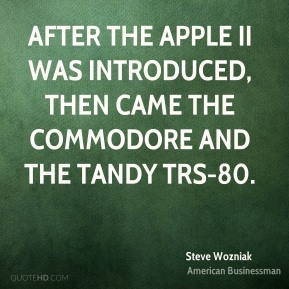 After the Apple II was introduced, then came the Commodore and the Tandy TRS-80. 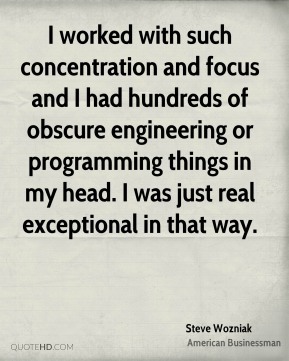 Another hero was Tom Swift, in the books. What he stood for, the freedom, the scientific knowledge and being and engineer gave him the ability to invent solutions to problems. He's always been a hero to me. 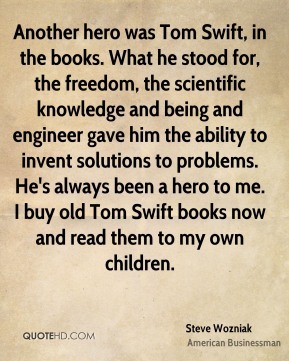 I buy old Tom Swift books now and read them to my own children. 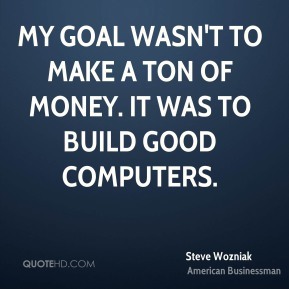 At our computer club, we talked about it being a revolution. 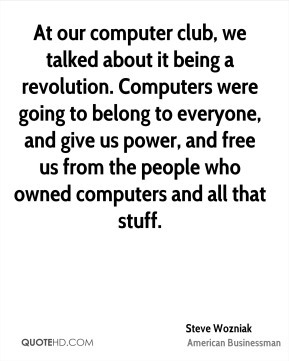 Computers were going to belong to everyone, and give us power, and free us from the people who owned computers and all that stuff. But I know newspapers. 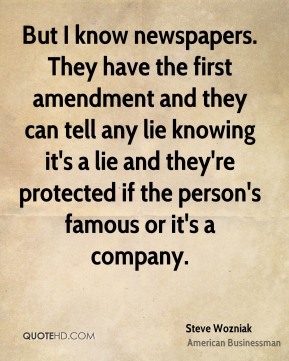 They have the first amendment and they can tell any lie knowing it's a lie and they're protected if the person's famous or it's a company. 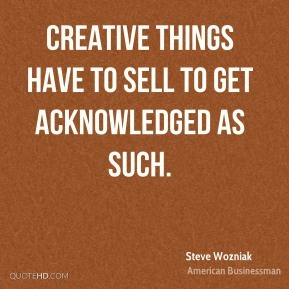 Creative things have to sell to get acknowledged as such. 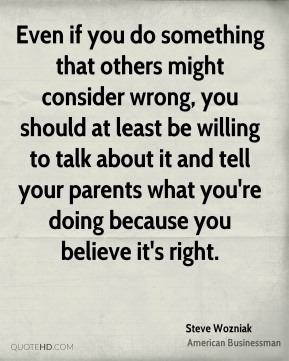 Even if you do something that others might consider wrong, you should at least be willing to talk about it and tell your parents what you're doing because you believe it's right. 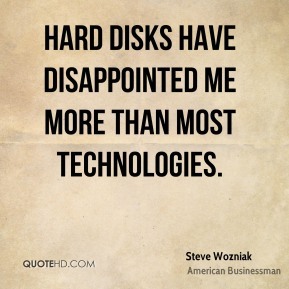 Hard disks have disappointed me more than most technologies. 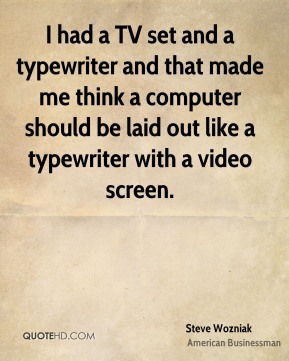 I had a TV set and a typewriter and that made me think a computer should be laid out like a typewriter with a video screen. 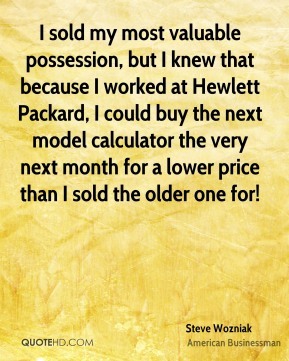 I sold my most valuable possession, but I knew that because I worked at Hewlett Packard, I could buy the next model calculator the very next month for a lower price than I sold the older one for! 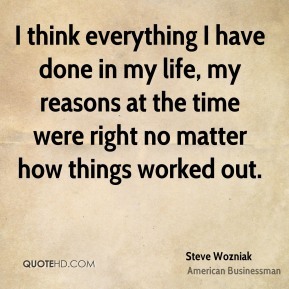 I think everything I have done in my life, my reasons at the time were right no matter how things worked out. 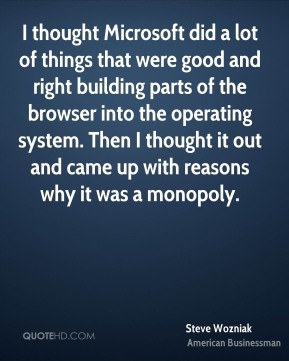 I thought Microsoft did a lot of things that were good and right building parts of the browser into the operating system. 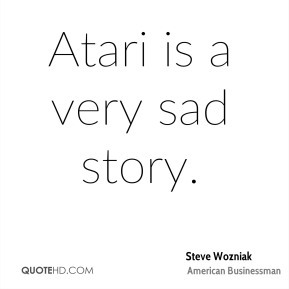 Then I thought it out and came up with reasons why it was a monopoly. 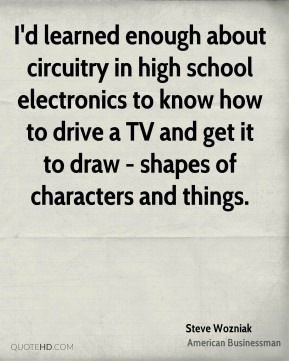 I'd learned enough about circuitry in high school electronics to know how to drive a TV and get it to draw - shapes of characters and things. I'm surprised at the extent of the bigotry. 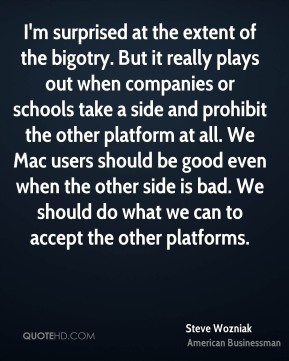 But it really plays out when companies or schools take a side and prohibit the other platform at all. 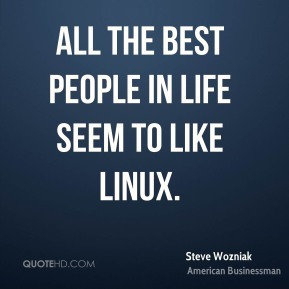 We Mac users should be good even when the other side is bad. We should do what we can to accept the other platforms. 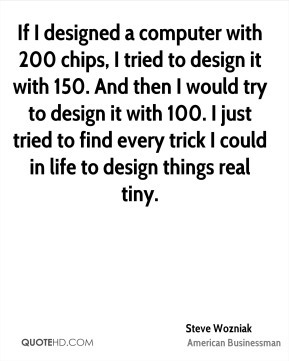 If I designed a computer with 200 chips, I tried to design it with 150. 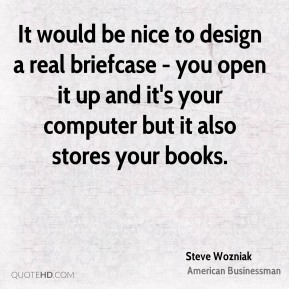 And then I would try to design it with 100. 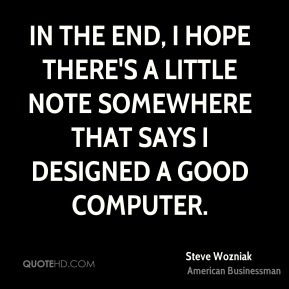 I just tried to find every trick I could in life to design things real tiny. 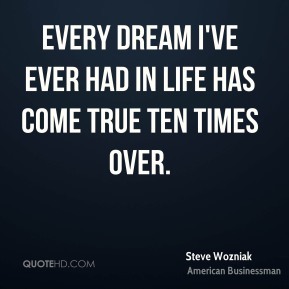 In some parts of life, like mathematics and science, yeah, I was a genius. 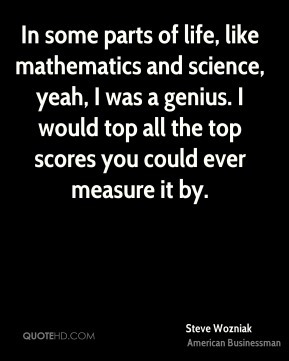 I would top all the top scores you could ever measure it by. 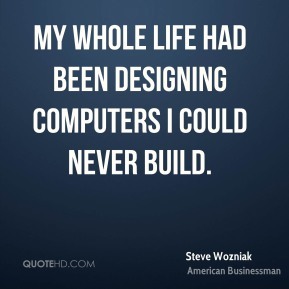 My whole life had been designing computers I could never build.